Ronald Clark Bourne, surrounded by his family, peacefully passed in West Jordan UT on Sunday, September 3, 2006, following a brave struggle with cancer. He was born in Billings MT on Dec. 27, 1948 to James H. Bourne Sr. and Betty L. (Gram) Bourne. Ron attended Billings West High School and joined the US Marine Corps in July 1967. He served his country until May 1971, during which time he completed two tours of duty in Vietnam. Following his military service he rejoined the family travel businesses, S.M. Cook Travel in Billings and Betty�(TM)s Travel in Sidney MT. In 1988 Ron and family moved to San Jose CA where he managed corporate travel offices while working for Life-CO, American Express and his own consulting business, RTB Consulting. In late 2005, Ron and his wife retired to West Jordan UT. In Feb. 2006 he began his battle with cancer. 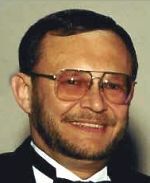 Over the years Ron was active in many service organizations to which he dedicated much of his time and energy. He enjoyed helping others in their time of need. He was a loving husband, father, brother, son, and granddad. He enjoyed fishing, hunting, woodworking, football and auto racing but especially spending time with his children and their families during the holidays. His father, his brother Jim Jr. and his brother-in-law Bill Embry preceded him in death. Ron is survived by his wife Tacey of West Jordan, UT; sons, Tim (Sibylle) of Augsburg, FRG; Doug (Jessica) of Auburn, CA; daughters, Roni (Ricky) Diaz of Allen, TX; Amy Bailey of Apache Junction, AZ; and Melissa (Jose Luis) Parache of West Jordan, UT; and grandchildren, Pat, Darrah, Tiana, Ashlea, Ciera, Matthias, Samantha, Joshua, Alex, Chloe, Brandon, Trinity, and Wyatt. He is also survived by his mother, Betty Bourne of Billings, MT; brothers Tom (Kris) of Seattle, WA and Brad of Denver, CO; and sisters, Serina (Don) Olson of Billings, MT; and Christine (Wayne) Papke of Bismarck, ND; sister-in-law, Myra Bourne of Las Vegas, NV; and a number of nieces and nephews who loved him dearly.